I've always wondered what it would be like to do a build log, and know how much reading other build logs has helped me with my builds/decisions, so here it is! So, all of the stuff mentioned above started my effort to go research some foamboard 3D planes. I quickly decided that I wanted to build a profile plane because of ease of build and lack of weight, which would make it easier for me to be able to use one of my motors for the plane. Also, before anyone asks, I do know that heavier 3D planes cut the air better and do some other things better, but for my situation, the pros of a profile build outweighed the cons. After some further research, I found the aircraft that this build is going to be based on. 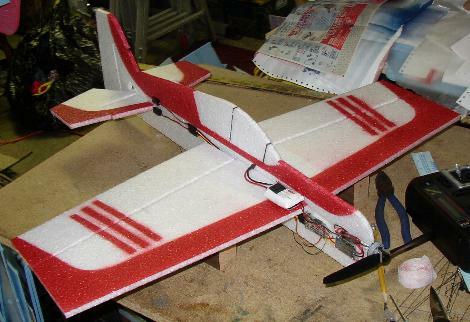 It is a 30" Yak 54 designed by Gene Bond on RC Groups. If anyone is interested, the link is here. It was originally made with EPP, but I am hoping to adapt it into DTFB by layering foam, laminating the wings with packing tape, and supporting right angle parts with triangle stock. Above is a picture of Gene Bond's original build. At this point, I might be confusing people on why the title of this build log says 25.5", not 30". Well, that's not just a typo! 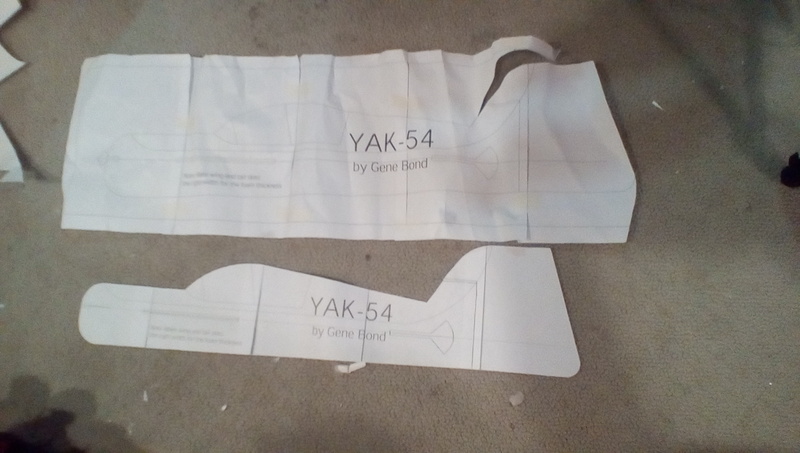 My original plan was to build a 30" Yak, but after printing out the plans a taping them together, I decided that I wanted something just a tad smaller. 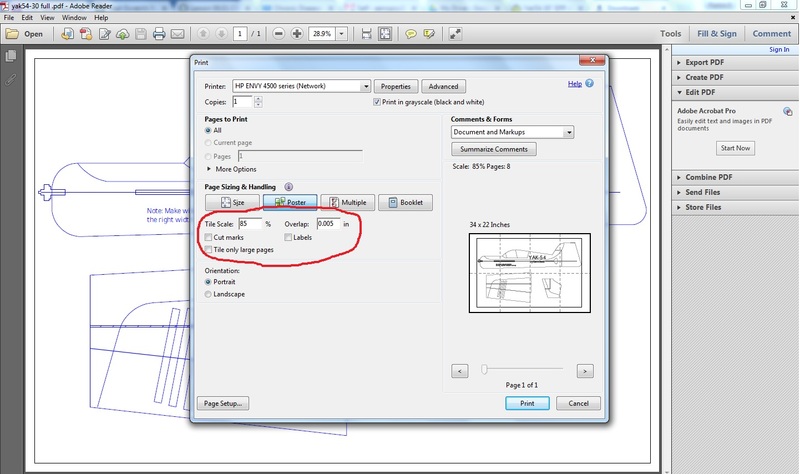 I did this by printing out the plans using Adobe Acrobat with the print scale set to 85%, as seen below. Below is also a picture of the 24.4" fuselage and the 30" fuselage for comparison. 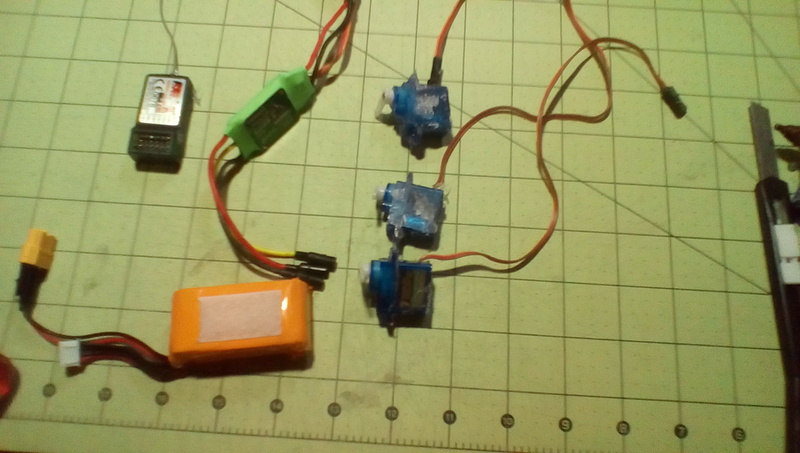 As for electronics, my plan is to use 3 x TG9e's (I am using one for the ailerons), 800mah 3s, and one of my motors with a 15amp esc. I would love and appreciate any tips on this build as I go through it! I would especially like any ideas on how to connect the separate wing and elevators together after I stick them into the fuse. Feel free to speak up with your knowledge!